Sam who was on placement with us from Runshaw College has written a blog about a series of photographs on display in The Art of Noise exhibition. 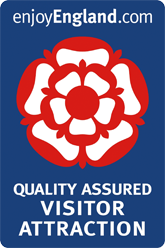 They were recently purchased by The Atkinson and this is the first time they have been on display. 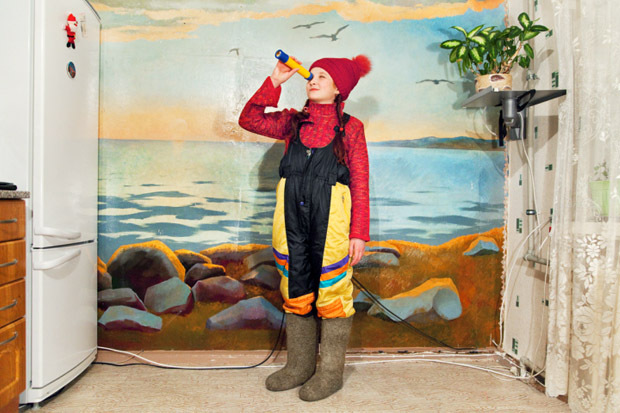 In 2012 Arbugaeva inspired to reclaim her childhood memories by returning to her birthplace of Tiksi, Siberian settlement on the shore of the Arctic Ocean but Arbugaeve unfortunately came to the realisation that this small community had been unoccupied by the many people who formally lived beside the artists as she grew up into a woman. The village had come close to being abandoned after having 12,000 residents and moving down to only 4000 remaining, this was all caused by the soviet collapse in 1991. Arbugaeva wished to keep the nostalgia alive through her photography in which she finalised in the form of chromogenic prints. This artist came to the conclusion that capturing her own memories through a child’s point of view instead of through the town and its politics, she wanted to do this because she wanted to tell her own story of where she grew up and how she remembers it. 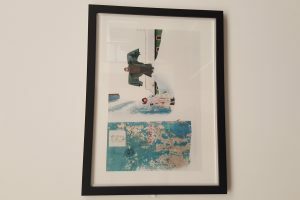 Arbugaeva accomplished this by presenting the story through a young girl she met when visiting named Tanya, Arbugaeva loosely based this child in the images as herself and how she remembers Tiksi many years ago. You can see how the artist presented her work through a child’s eyes. She did this by using vibrant colours which could be seen in a rainbow against the blank landscape of snow-capped valleys and mixed with the decaying scenery from the building and shacks, hinting at the contrast on how it had dramatically fallen downhill. Arbugaeva pushed the viewers to firstly examine her work in a way you could see an image from a joyful child friendly film and then see the subtle clues to the truth of how life really is in the settlement. Tanya brings hope to Arbugaeva that maybe one day the arctic can return to be filled with plenty of people and give it life just as it used to be. These images are proof to the town that they can rebuild a community that can bring gleeful childhood memories that Tanya and Arbugaeva had the privilege of gaining. 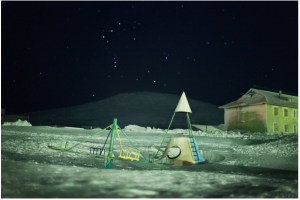 This artist does show in these photos that the people of Tiksi need to put in a lot of hard work to restore their settlement, Arbugaeva does this by presenting an eerie glow of the night sky that almost beams a lonely aroma. Arbugaeva had said in an interview that she believes the arctic may return to being populated in the coming years as people begin to realise the peace it brings the soul but for now she will keep showing her story and promoting the simple life and how much happiness it will bring people as she feels it’s her duty to the town, the people and herself.